Dedicated to the memory of those individuals within the MABL family. Gone but not forgotten. The MABL committee were very sad to hear that a long standing MABL referee and attendee of many AGM meetings, passed away last week. Eugene was a kind, gentle man whose dedication to basketball we all admired. To some he may be remembered as officiating in a more theatrical style than perhaps others, but his unique personality just added more to the enjoyment of the game. He was keen to be heard at AGM's and many of his thoughts and ideas were adopted over the years. Eugene officiated at many of the Finals weekends over the years and his commitment to be available at a moment's notice throughout past seasons was a great help to the League. He was honoured with the "Ian Pollard Memorial Shield" for the 2007/8 season for his contribution to officiating and in recognition of his outstanding commitment and leadership. He will be sadly missed by the MABL basketball community and our thoughts are with his family and close friends. It is with a great deal of sadness that we announce the passing of Dave Chilton. Dave was diagnosed with cancer earlier in the year and passed away peacefully in his sleep on Wednesday 29th July 2015. 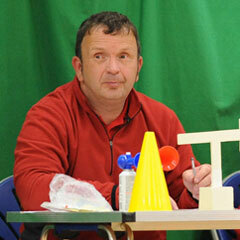 Dave was well known throughout MABL as a passionate table official who always strived to better himself. Outside of MABL Dave was well known throughout The Great Britain Wheelchair Basketball Association where he reached his ambition of officiating a senior international game after earning his invite to officiate at the 2009 Paralympic World Cup in Manchester. Dave went on to surpass this with a call-up to officiate at a major senior international event: the 2010 World Wheelchair Basketball Championships in Birmingham. Always ready to help support clubs no matter how far the distance, Dave was often seen travelling to games on his bike. A familiar face to some, a gentleman to all and a friend to many. 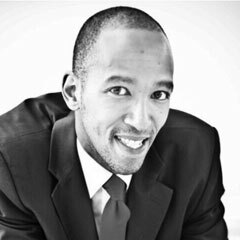 Juma Ngqobongwana, a stellar individual and basketball's biggest fan. Sadly passed while at a basketball tournament. Juma was a popular and successful sportsman from primary school where he led the school in all sporting competitions, he then joined the family organisation, Moss Side Tropics Basketball Club who play in the MABL and became club captain. Juma leaves behind a club legacy promoting teamwork, selflessness, camaraderie and respect. He will be missed by the basketball community, Moss Side Tropics, family and friends. Steve played for Moss Side Tropics for approximately 20 years, mostly in the #9 shirt, playing at Moss Side Youth club and Ducie Sports Academy. Steve played in shooting guard/forward position and his speciality was the bank shot (off the glass/board). Stevie was involved in the succession of Division wins by Moss Side Tropics over four seasons in 2007/08, 2008/09, 2009/10 and 2010/11. As a teenager he idolised Michael Jordan and Magic Johnson. One of my first memories of Steve was when we both went on a Manchester Giants U-14s camp. We played our hearts out to impress the coach at the time (Jeff Jones). After the camp we were inseparable and played everyone we could. 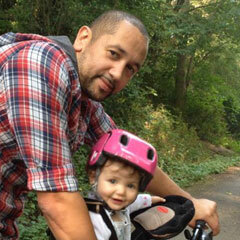 Stevie is still very much missed and loved by his family, friends, team mates and wider basketball community. It was with a great deal of sadness that we announced the passing of Ian Pollard. As many of you were aware, Ian was diagnosed with cancer and unfortunately passed away on Thursday April 16th 2009. 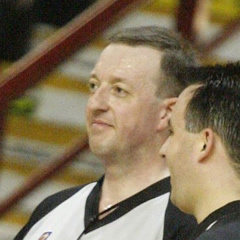 "Polly", as he was affectionately known to the basketball fraternity, commenced his refereeing career back in the mid 90s. 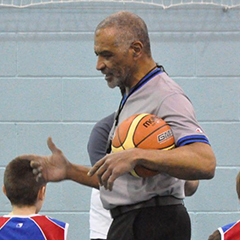 He quickly established himself as a leading referee in the UK Basketball scene, officiating 369 national league games including numerous major finals. His fine work was recognised by FIBA (the world governing body) when he obtained his FIBA Licence in 2002 and he has officiated in over 50 FIBA games. Testament to the commitment of Ian to officiating in the UK was that whilst unable to officiate, due to his illness, he was constantly reviewing game tape and offering valuable feedback to developing and established officials alike. Those of us that knew him will remember Ian firstly as a great man and friend, always quick to have a joke and always balanced and measured in his comments as well as a huge contributor to this league as a referee, player and committee member. The world of British Basketball will be the poorer after his passing. Ian contributed hugely to the development in refereeing in this league and the group of people he has helped in their development have become many of our stalwart referees. Ian Pollard - Rest in Peace, Ref. With deep condolences, The Manchester Basketball League.